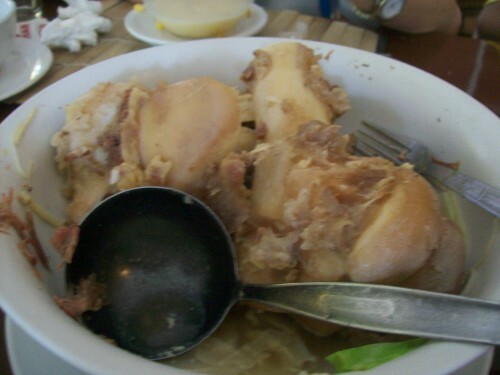 Before going to Cebu, Eric informed us about Abuhan, the best Pochero place in Cebu. 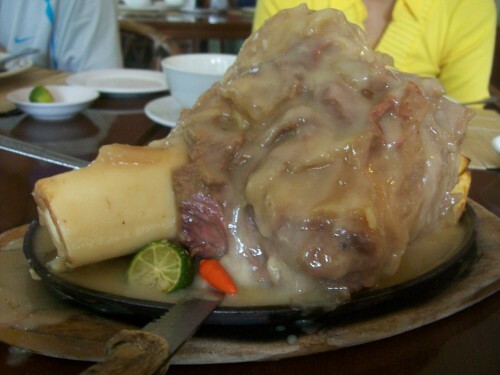 He informed me that the Cebu Pochero is somewhat similar to Bulalo, which is my most favorite dish in the world. We had dinner there together with Sinjin, Aaron, Shena, Bong and Nico for a jam-packed sunday brunch! 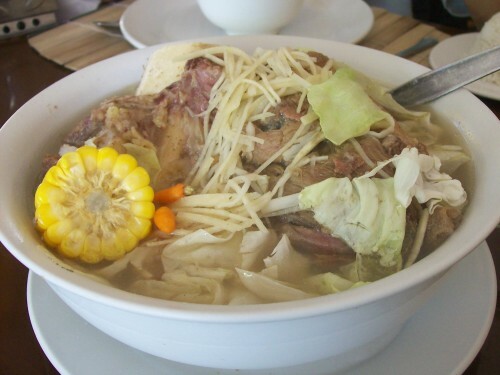 As you can see at the photo above, the Abuhan Pochero is really similar with Bulalo. The bone marrow is too tasty that’s why I begged if I can have all the marrows LOL 😛 The ingredients is complete – there’s bamboo shoot, cabbage and sweet corn. Tasty yet sweet! Yumyum! Now I present to you the Sizzling Pochero. Take a look at the gravy. Mouth-watering, huh? 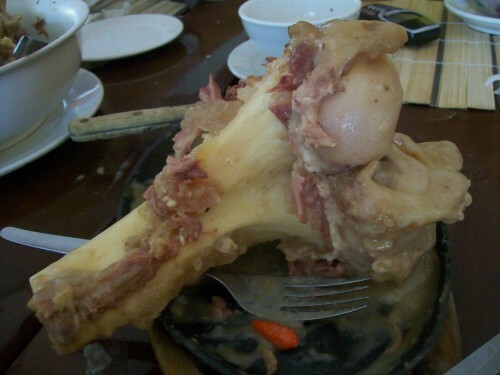 Shena and I fell in love with the sauce and the meat is also soft and yes, the marrow. 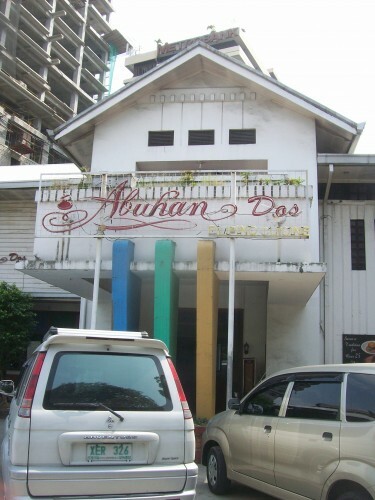 Abuhan Dos also offers desserts like Halo-Halo, Leche Flan etc. 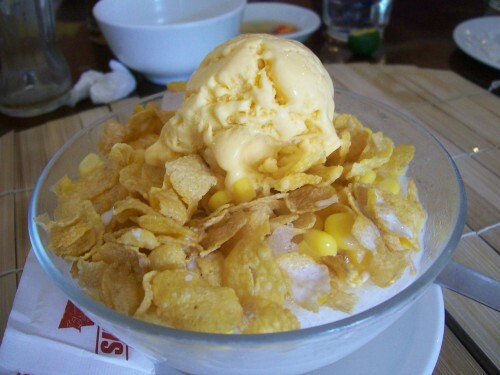 I ordered for a Mais Con Yelo since it was a sunny sunday. All in all, we had a very satisfying Pochero Brunch. The prize of each meal is not as expensive as I thought it was. The serving is also enough for us and the place is also clean. If you plan on traveling to New York, make sure to visit the best Albany restaurants in the 518. Love this post? Why not subscribe to us for free via e-mail. Receive the latest updates from Patay Gutom straight to your e-mail inbox. Don't forget to confirm your subscription by clicking the verification link that will be sent to your e-mail! This entry was posted by Micaela Rodriguez, who has written 13 posts as micamyx, on Sunday, August 16th, 2009 at 6:22 pm and was filed under Restaurant. sarap naman dito! waaaaaaaaaaa! kaka inggittttsss! Waaa di pa ako nakakain dyan! Wah! Na-crave ako bigla for Mais Con Yelo!